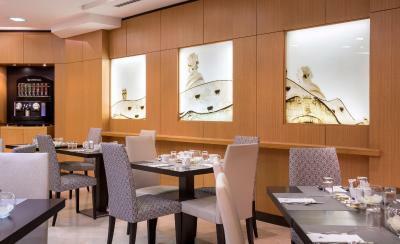 Lock in a great price for Eurostars Monumental – rated 8.5 by recent guests! Definitely the location. 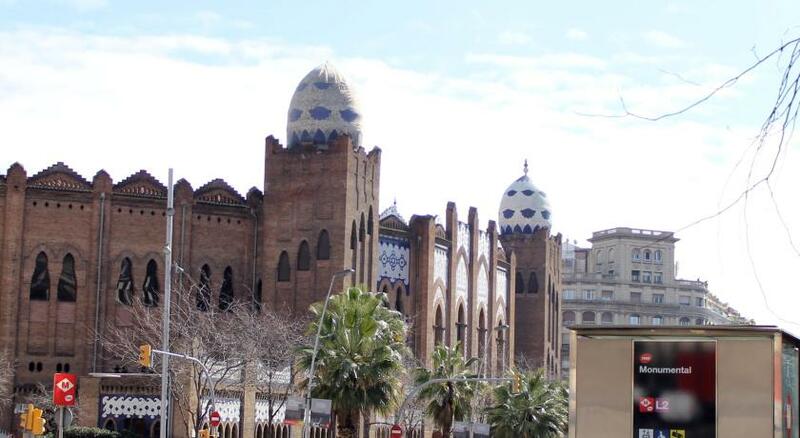 Very close to Sagrada Familia! Overall really great. Location was good if you like walking everywhere. No coffee or tea making facilities - brought my own travel kettle! Staff were very helpful. Would stay there again. 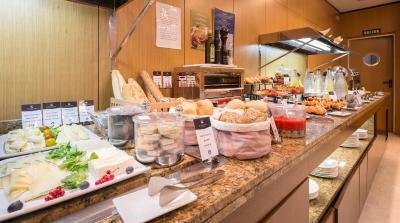 The breakfast was the best of any hotel we've ever stayed at. A wonderful selection of choices. 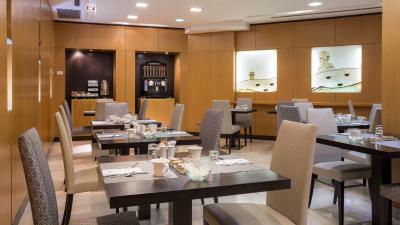 Eurostars Monumental is an excellent hotel! We could not have been happier with our selection. The location is perfect with easy access to the Metro, hop on hop off bus and walking distance to the beach. 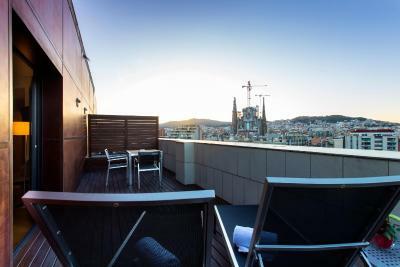 We stayed on the 8th floor which gave us roof top access and a great view of Barcelona including La Sagrada Familia. We could easily walk to restaurants, bars and grocery stores. 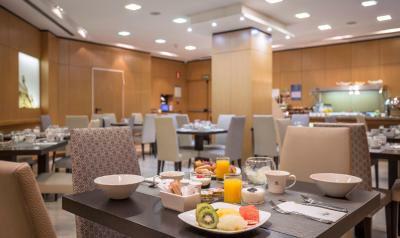 We included breakfast each day with our 4 day stay and it was fantastic each day. I would definitely stay here again. Staff was friendly and helpful. Centrally located and easy access to transit. Eurostars Monumental This rating is a reflection of how the property compares to the industry standard when it comes to price, facilities and services available. It's based on a self-evaluation by the property. Use this rating to help choose your stay! 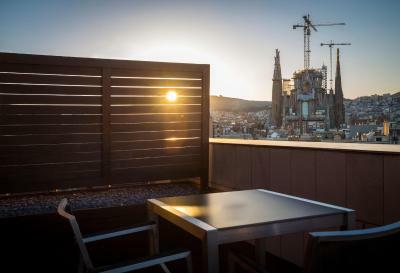 This design hotel offers free WiFi and is just 1,300 feet from Sagrada Família Church. 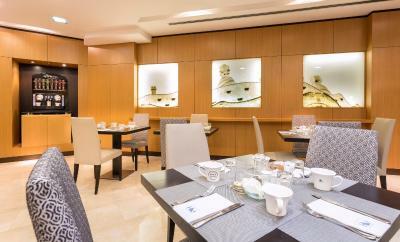 Decorated in elegant neutral tones, rooms include a plasma screen TV with satellite channels. 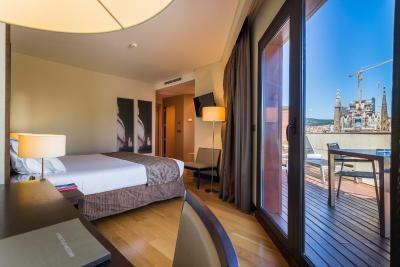 Rooms at the Eurostars Monumental have wooden floors and modern lighting. 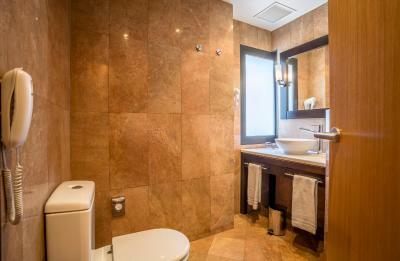 Toiletries and a hairdryer are included in the stylish marble bathrooms. 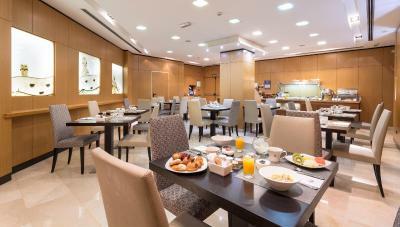 A breakfast buffet is served in the hotel’s restaurant. 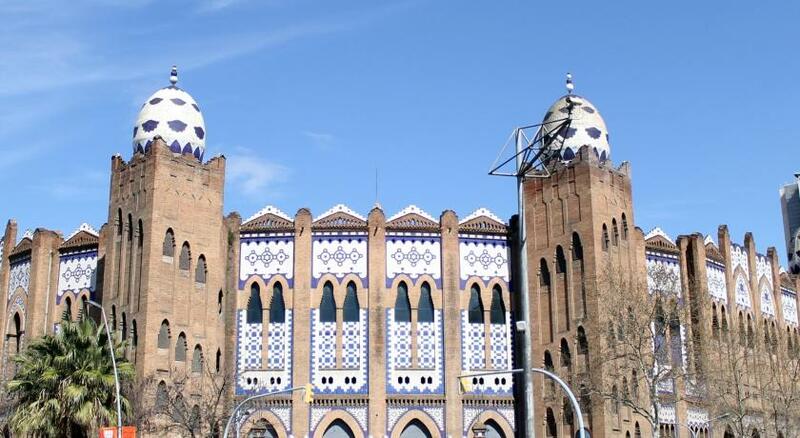 You can also find various restaurants and cafés within a 5-minute walk, in the area around the Sagrada Familia. 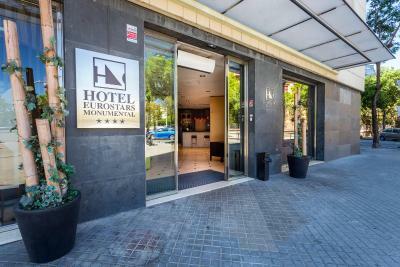 Eurostars Monumental is 350 feet from Monumental Metro Station, which provides direct trains to Passeig de Gracia Station. 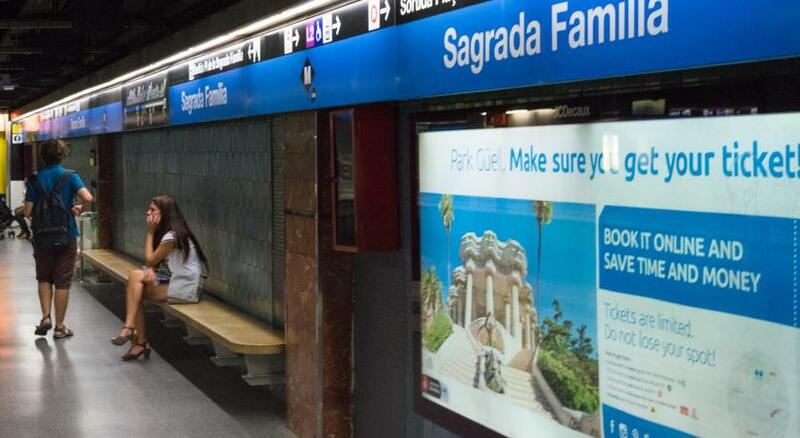 Estació del Nord Bus Station is just 2,800 feet away. The property offers a parking space for luggage drop off in front of the hotel. 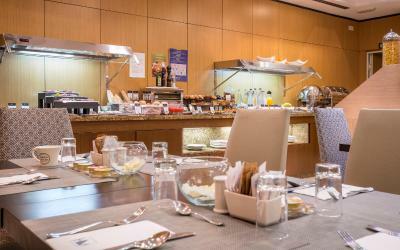 When would you like to stay at Eurostars Monumental? Decorated in elegant neutral tones, this air-conditioned room includes a minibar, a free safe and a plasma-screen TV with satellite channels. 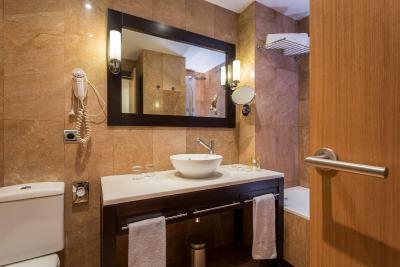 The stylish marble bathroom features a bathtub or shower, toiletries and a hairdryer. Public parking is available at a location nearby (reservation is needed) and costs EUR 18.15 per day. 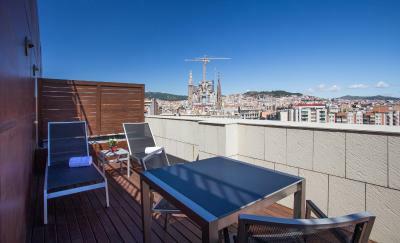 This spacious room has a terrace with lounge chairs and views of the Sagrada Família. Decorated in elegant neutral tones, this air-conditioned room includes a minibar, a free safe and a plasma-screen TV with satellite channels. 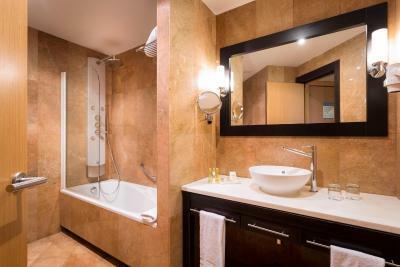 The stylish marble bathroom features a bathtub or shower, toiletries and a hairdryer. This room has 2 single beds and 1 folding bed measuring 2.3 ft wide. House Rules Eurostars Monumental takes special requests – add in the next step! Eurostars Monumental accepts these cards and reserves the right to temporarily hold an amount prior to arrival. Please let Eurostars Monumental know your expected arrival time in advance. You can use the Special Requests box when booking or contact the property. 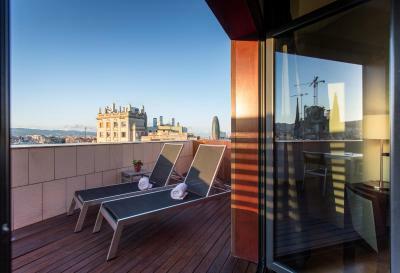 Even when it is quite warm already by April in Barcelona, only heating is provided in the room. The room is hot and stuffy even the outside air is much fresher and cooler. Opening the window helps a little bit yet it is very noisy then - we have had 3 consecutive sleepless nights in Barcelona! The facilities inside the room are quite wore out. The reception girl didn't offer any help and took a "this is it" attitude. Unfortunately we've paid the 3 nights' stay upfront and could not get any refund if we cancelled the other 2 nights after the 1st night. Not recommended to anyone unless you want to pay for experiencing how badly an Eurostars hotel can be. 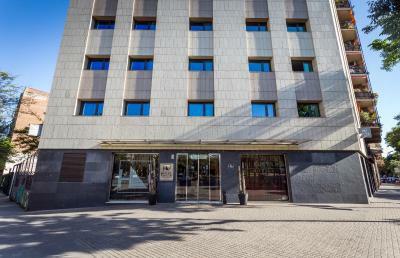 Location - it is 2 minutes walk from the Monument Metro station. The hotel was advertised on booking.com as having parking - which is technically true, although in reality this meant having to drive around the block to park in rather cramped independent car park, for an additional Euro 18 per day. While not a major issue, these details should have been made clearer in the hotel ad. The hotel reception staff were friendly and helpful. My room on the top floor had a large balcony, with a really nice view over the area (East Barcelona). The bed was comfortable, if a little hard. The WiFi worked without problems. Breakfast was poor, not worthy to eat 3 days in a row here. The bathroom could use a toilet brush. Once every 2-3 weeks it is necessary to remove the dust more carefully, e.g. on the entire surface of the doors. 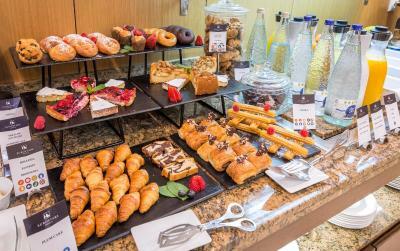 Breakfast was excellent - all fresh and huge choice. Location was perfect. We had a full view of the Sagrada Familia and lots more from our spacious balcony. 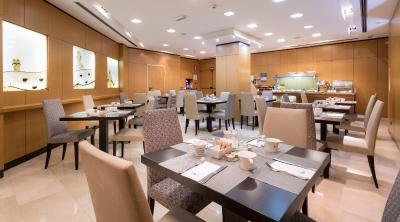 Staff were very friendly and helpful and spoke good English. They recommended a couple of local restaurants which were really good. 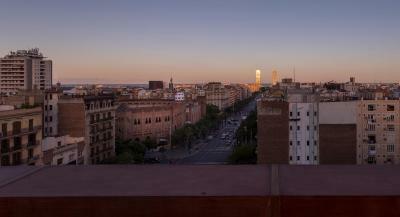 Our top floor room had a balcony with a wonderful view of Sagrada Família. 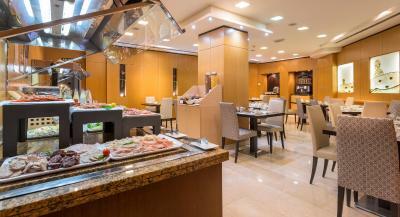 Very good location 50m from underground. Very professional and friendly staff. Excellent breakfast. No negative answers for this place. It was awesome. 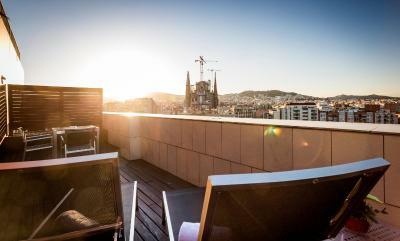 For sure if i go back in Barcelona ill be back in this hotel. Room, room view and good location. Location. Comfy bed, good size room. Parking is a pain on the a** if you are a first timer at the hotel. Even checking in is crazy because you have to park on the road and run to get direction to the parking.